On January 8th, the Nebraska Supreme Court threw out the case to stop the KeystoneXL pipeline. This is NOT the final decision on KXL; it does, however, place President Obama in the the forefront of the decision-making. 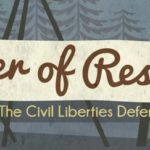 Rainforest Action Network, 350.org, and the Sierra Club are calling for public assemblies and vigils throughout the U.S. This is not a civil disobedient event, but a national-wide expression of pipeline opposition. Please join us in telling President Obama to reject the Keystone XL pipeline NOW.